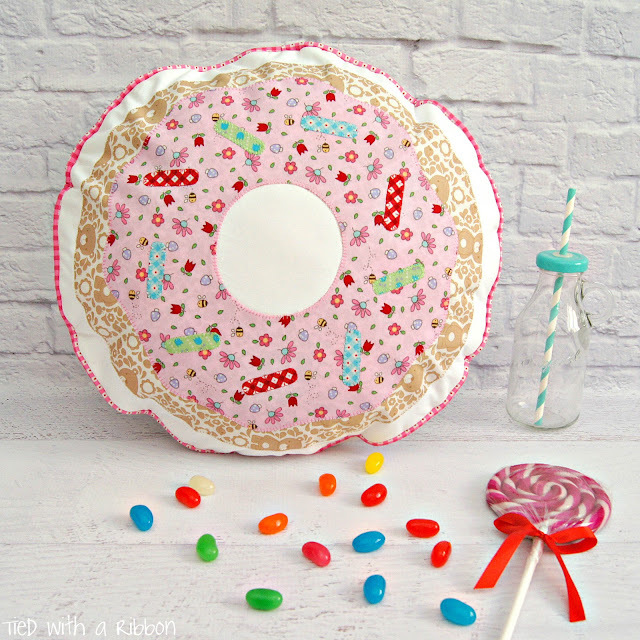 This pattern idea has been in my head for sometime now and as I am always happy to admit to having a Sweet tooth - surely it was only a matter of time. 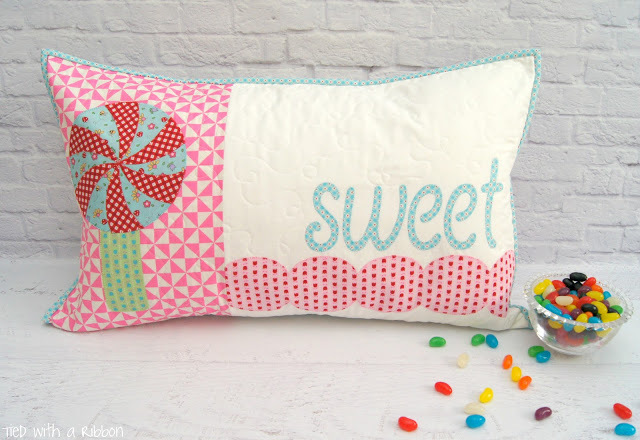 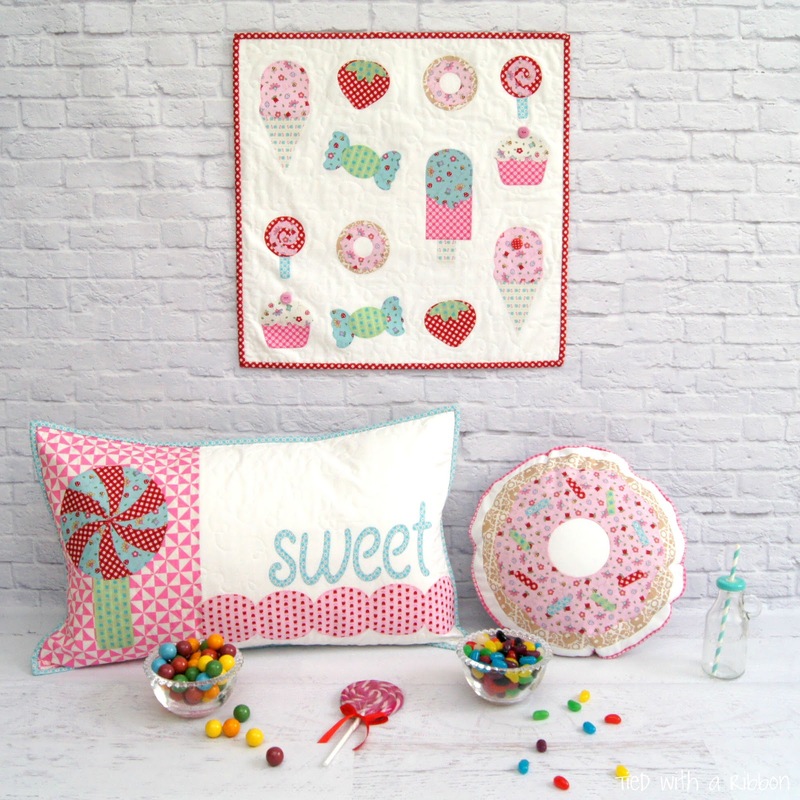 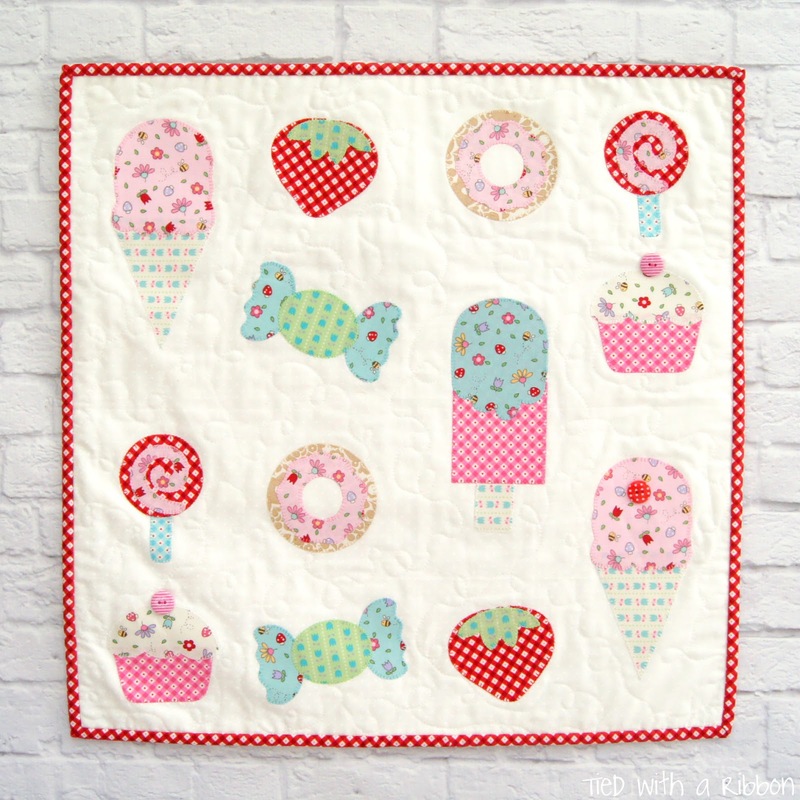 Introducing - "Sweet Treats" a pattern to celebrate the child with us all. 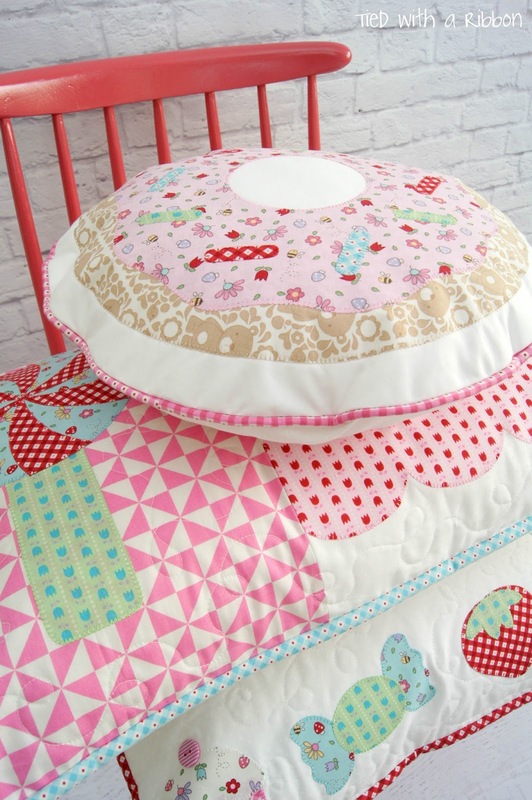 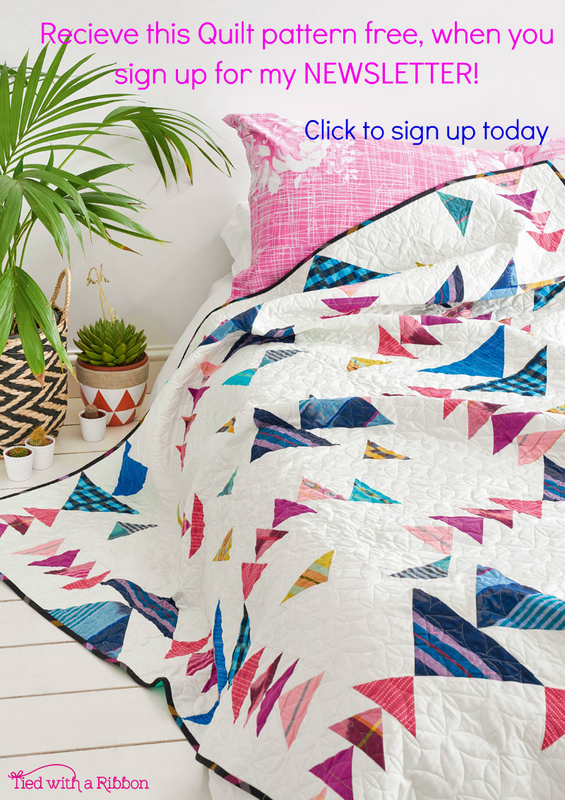 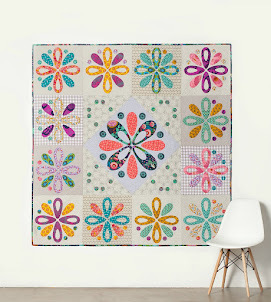 This Pattern has a Mini Quilt/Cushion, a Rectangular Cushion and a Round Doughnut cushion with instructions for all. 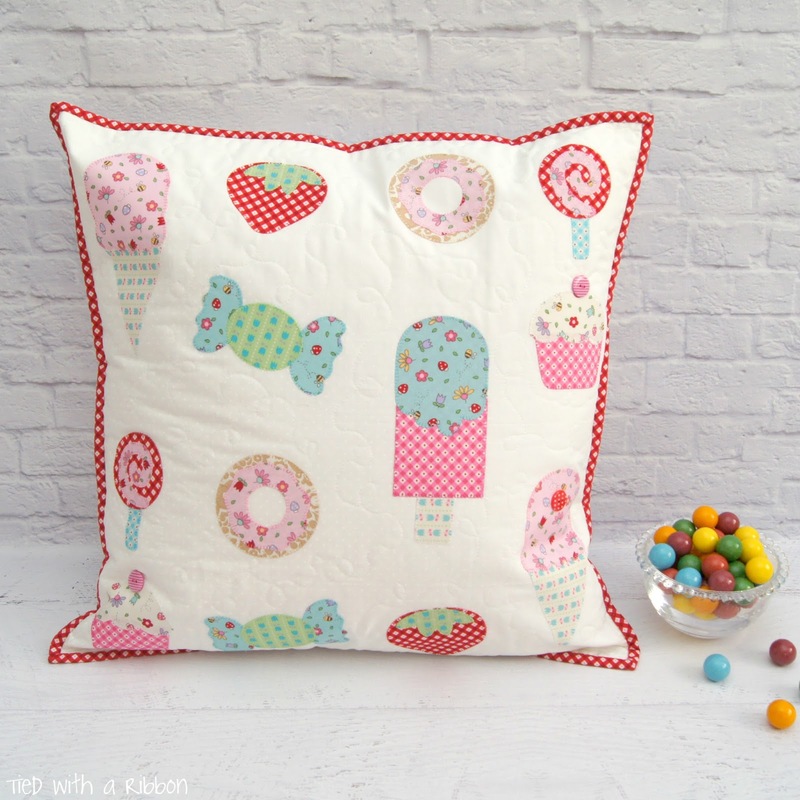 Unable to decide whether this Square Appliqué should be a Mini Quilt or Cushion - I decided to include Instructions for both. That way you can make which ever suits the purpose or person better. And probably my favourite the Round Doughnut Cushion. 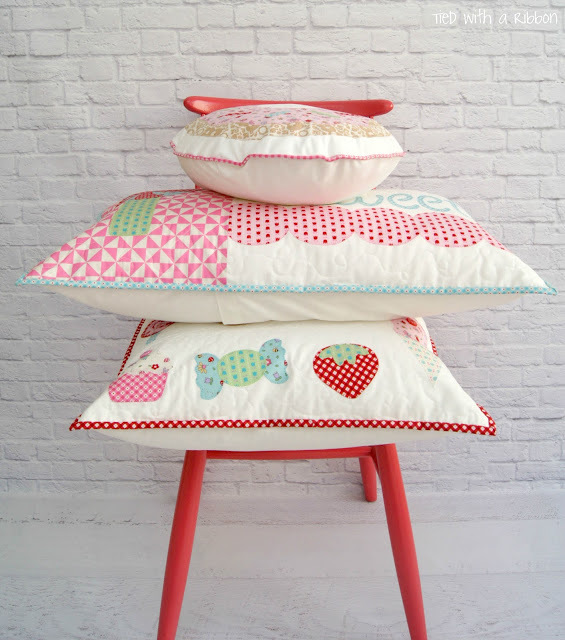 These have all been made out of the adorable range - Teddy Bears Picnic by Melanie McNeice of Melly and Me for Riley Blake Fabrics. 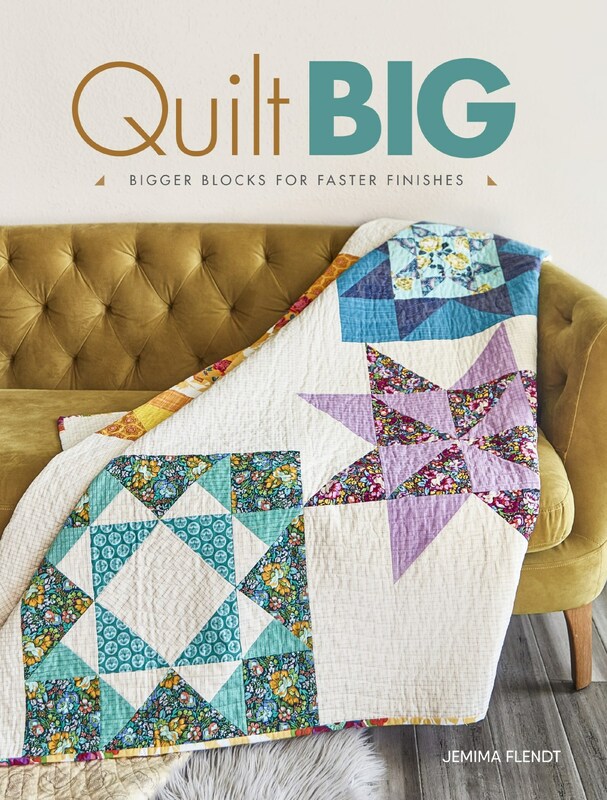 It is also available to order wholesale through my wonderful distributor - Creative Abundance, if you are a store looking to stock this pattern.